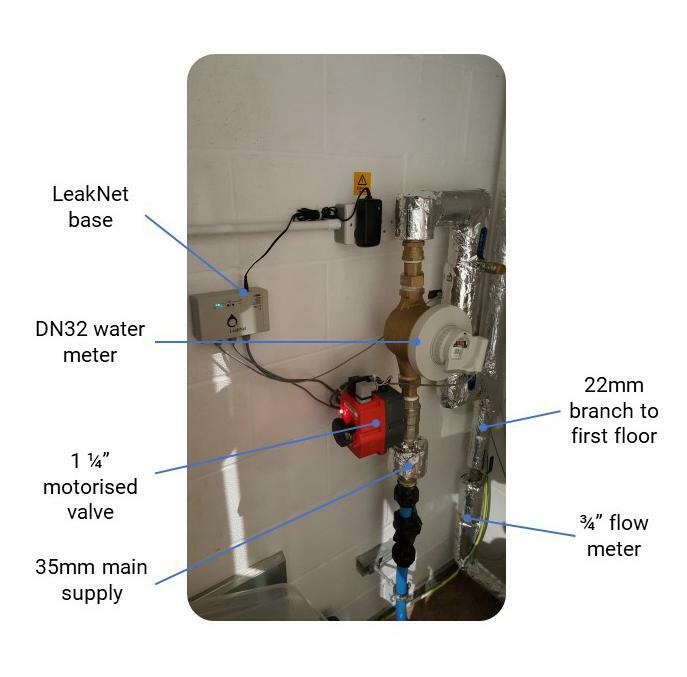 This particular office block in the East Midlands had 1 LeakNet unit installed, monitoring the whole building (35mm pipe) and also the first floor (22mm pipe). Using LeakNet, they could see their monthly consumption rate, including the contribution from the first floor, which allowed them to check if they were being charged the correct amount in their bills. LeakNet alerted them to a low-level leak of 1,500 litres per day (based on their overnight consumption), which was costing them an unbudgeted £1,300 per year. The 1st floor supply contributed roughly 12% of the unbudgeted consumption, which proved that most of the wastage was coming from other floors. If the other floors been monitored too, the system could have pinpointed which floor was responsible for the leak. Savings on water bills of up to £1,300 per year. With continuous monitoring, problems can be spotted before they have a chance to cause damage. 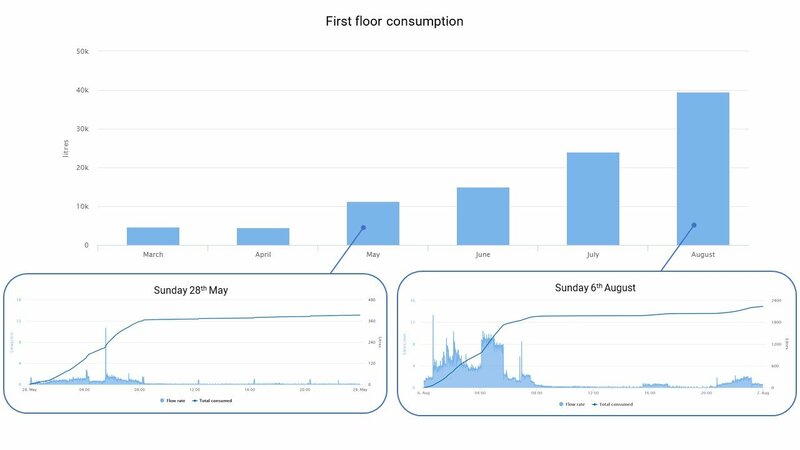 Take the first floor consumption over the last 6 months. You can clearly see it increase month by month. 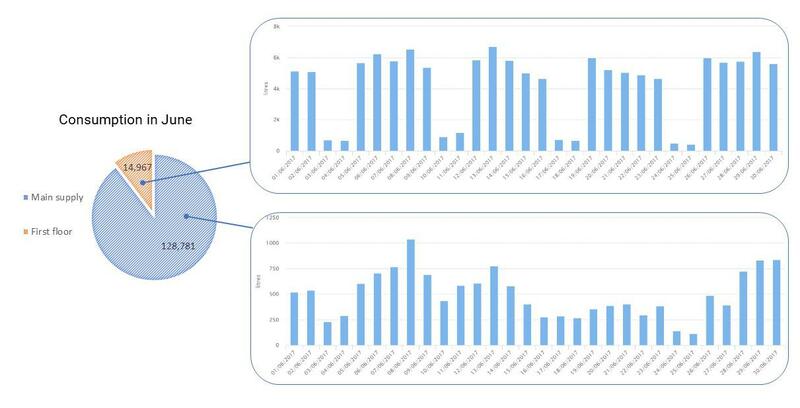 There have been unusual flows occurring in the early hours between 01:00 and 08:00, which first began on Friday 19th May and have been getting increasingly worse. In May, this unusual flow used roughly 350 litres of water. Then in August, the unusual flow used almost 2,000 litres. A leak from a faulty fitting had built up over time, but had not actually burst yet. Automatic alerts triggered proactive maintenance which meant all water damage had been avoided. An estimated £50,000 had been saved from a potential burst. Continuous monitoring, coupled with automated alerts, is by far the best way to spot problems, minimise waste and keep bills low. Have you got an effective monitoring solution in place?